The Securities and Exchange Commission announced today that Elon Musk, CEO and Chairman of Silicon Valley-based Tesla, Inc., has agreed to settle the securities fraud charge brought by the SEC against him last week. Musk has done with his tweets what shareholders have been unable to do. This year a proposal to require an independent board chairman won only 16% of the votes. See Tesla 2018 Proxy Decisions Crucial. Maybe we will now get traction on other issues as well. The SEC also charged Tesla with failing to have required disclosure controls and procedures relating to Musk’s tweets, a charge that Tesla has also agreed to settle. The settlements, which are subject to court approval, will result in comprehensive corporate governance and other reforms at Tesla—including Musk’s removal as Chairman of the Tesla board—and the payment by Musk and Tesla of $40M in financial penalties. 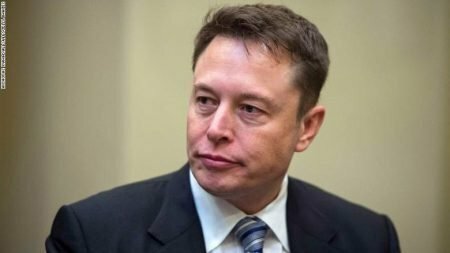 According to the SEC’s complaint against him, Musk tweeted on August 7, 2018 that he could take Tesla private at $420 per share. That was a substantial premium to its trading price at the time. Musk’s tweet said that funding for the transaction had been secured and that the only remaining uncertainty was a shareholder vote. The SEC’s complaint alleged that, in truth, Musk knew that the potential transaction was uncertain and subject to numerous contingencies. Musk had not discussed specific deal terms, including price, with any potential financing partners, and his statements about the possible transaction lacked an adequate basis in fact. According to the SEC’s complaint, Musk’s misleading tweets caused Tesla’s stock price to jump by over six percent on August 7, and led to significant market disruption. Tesla notified the market in 2013 that it intended to use Musk’s Twitter account as a means of announcing material information about Tesla. It encouraged investors to review Musk’s tweets as company disclosures but had no disclosure controls or procedures in place to determine whether Musk’s tweets contained information required to be disclosed in Tesla’s SEC filings. Nor did it have sufficient processes in place to that Musk’s tweets were accurate or complete. The total package of remedies and relief announced today are specifically designed to address the misconduct at issue by strengthening Tesla’s corporate governance and oversight in order to protect investors. As a result of the settlement, Elon Musk will no longer be Chairman of Tesla, Tesla’s board will adopt important reforms —including an obligation to oversee Musk’s communications with investors—and both will pay financial penalties. The resolution is intended to prevent further market disruption and harm to Tesla’s shareholders. The SEC’s investigation was conducted by Walker Newell, Brent Smyth, and Barrett Atwood and supervised by Steven Buchholz, Erin Schneider, and Jina Choi in the San Francisco Regional Office and Cheryl Crumpton in the SEC’s Home Office. Declassify the board so that each director is elected annually. Allow shareholder to act by written consent. Allow outside shareholders with 15% or more of the stock to call for a special meeting. Eliminate supermajority requirements to amend charter and bylaw provisions. Jim – your reforms don’t go far enough. This board allowed Musk’s tweeting activity to go unabated for years. After the “pedo” tweets to the british diver rescuer of the thai soccer team, the board should have taken action and the famous ‘funding secured’ tweet would have never been made. I could not agree with you more. Anyone know who appoints the two additional directors named in the SEC settlement? This company has so much potential but it can no longer operate most successfully as a dictatorship. Will the two new directors be anymore independent than the existing directors? Checks and balances sorely needed.